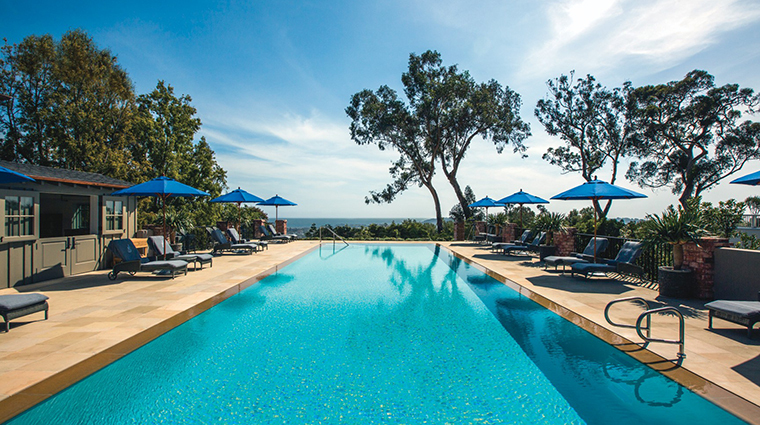 Santa Barbara is known as the American Riviera, but the newly redesigned Belmond El Encanto (Spanish for “charmed”) is actually located on the Riviera, a low mountain rising above the sparkling Pacific Ocean and overlooking the red-tile roofs of downtown. This historic property has a long lineage. 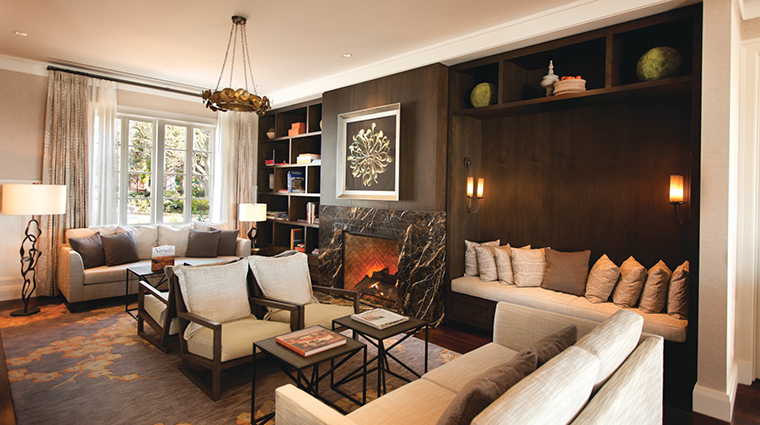 One can argue that if FDR stayed here, it’s probably good enough for everyone else. 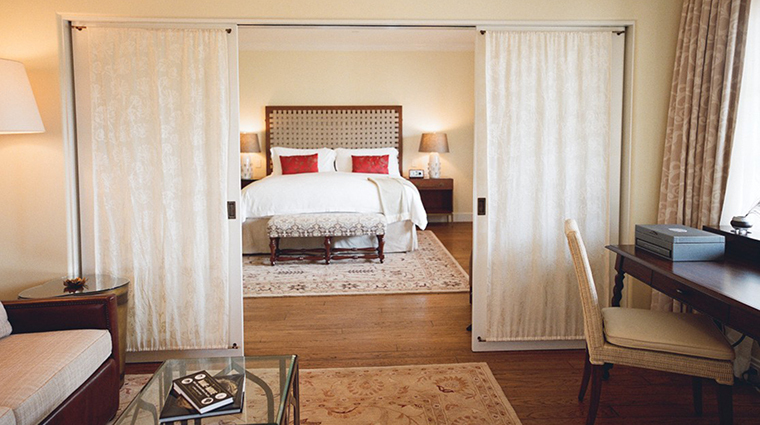 Serene and quiet, this gem of a boutique hotel offers a generous fitness room and spa, and it’s pet-friendly. There are no fences that line the property, giving it an unobstructed feel. 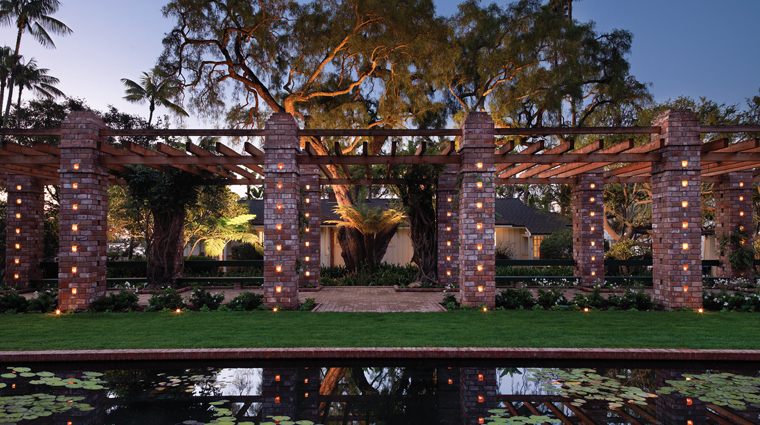 Brick pathways lead you around the grounds, and mature cypress, palm and eucalyptus trees flank the numerous bungalows, which sit far from the madding crowd. 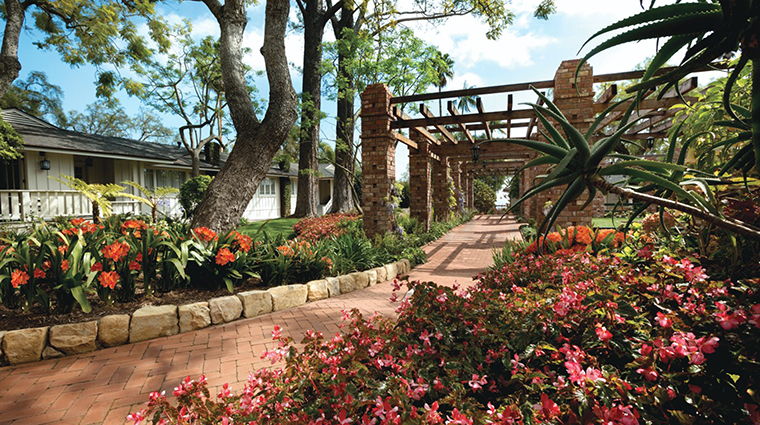 With verdant green landscaping spread across seven acres, the Five-Star hotel looks like a quaint forested neighborhood. The outdoor pool is strategically situated so that the shallow end is closest to the views of another body of water, the ocean. 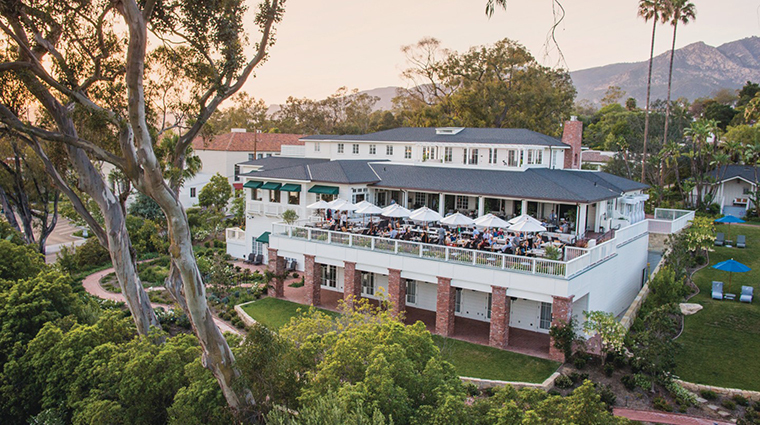 From the original 1928 wishing well to the historic lily pond and its 100-year-old wisteria vines climbing up brick-columned arbor, the Santa Barbara hotel is a throwback in style with modern amenities, such as the use of electric bikes and a zero-edged freshwater pool. The secluded Four-Star spa is a destination unto itself. 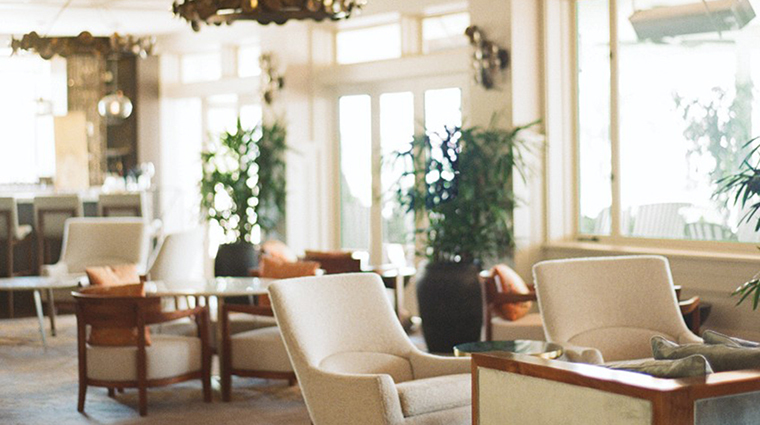 Try the signature facial that uses products from Beverly Hills skin-care specialist Linda Ross. 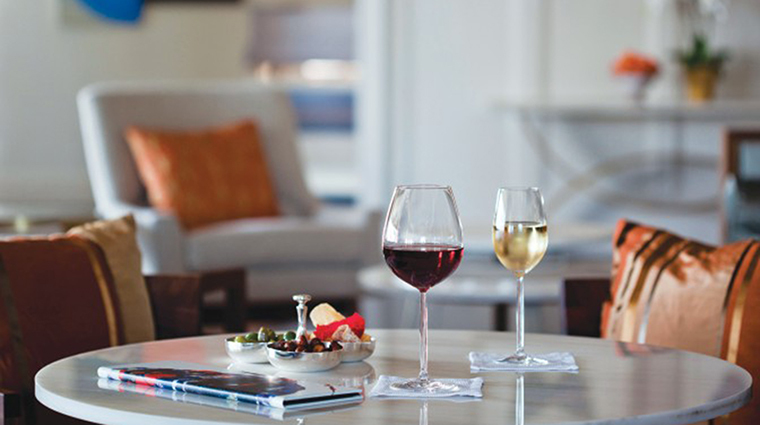 With tasting rooms two blocks from the beach and traditional wine country just over the hill 30 minutes away, the surrounding area just adds to the luxury hotel’s charm. 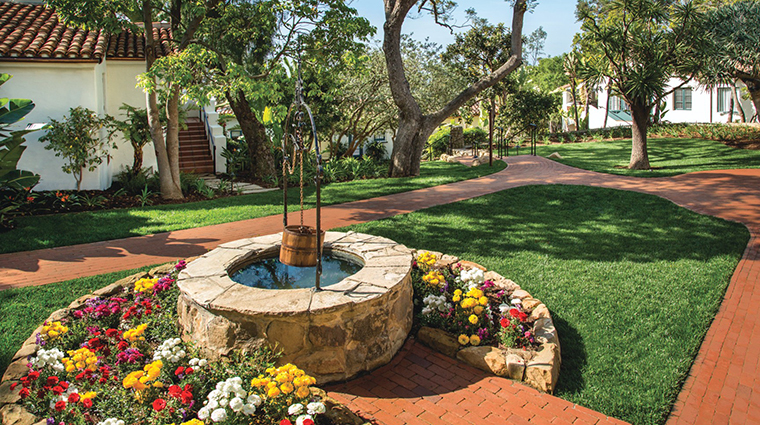 Santa Barbara boasts consistently beautiful weather, but our favorite time to visit the hotel is from March to May, when everything is pristine and green after the mild winter rains. 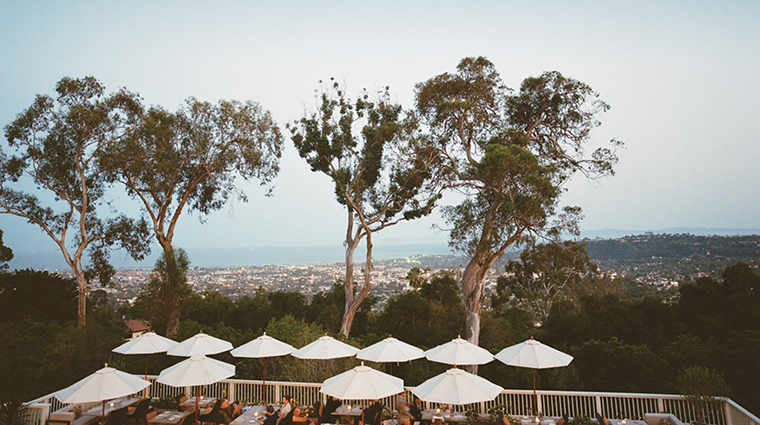 Belmond El Encanto is actually 92 rooms built as bungalows, both California Mission style with traditional red-tiled roofs and white stucco walls, and classic California Craftsman with its emphasis on simple clean lines and earthy wood tones. 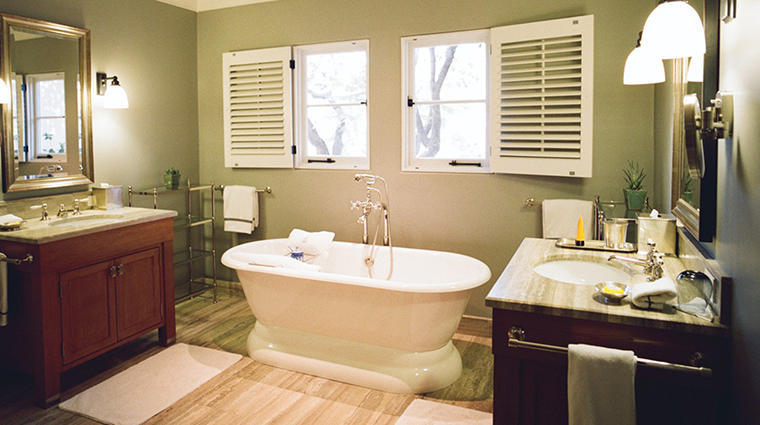 All of the bathrooms have either deep soaking or freestanding tubs and white marble countertops with radiant heated floors, not that it gets very cold here. 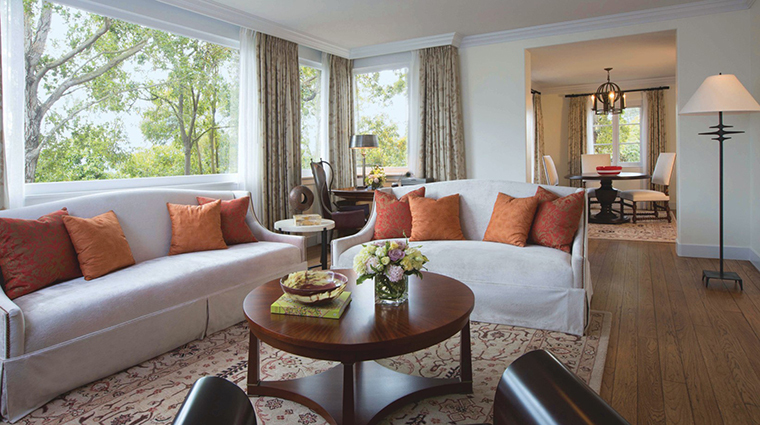 There are hardwood floors in both styles of accommodations at the Forbes Travel Guide Five-Star hotel as well as kitchenettes. 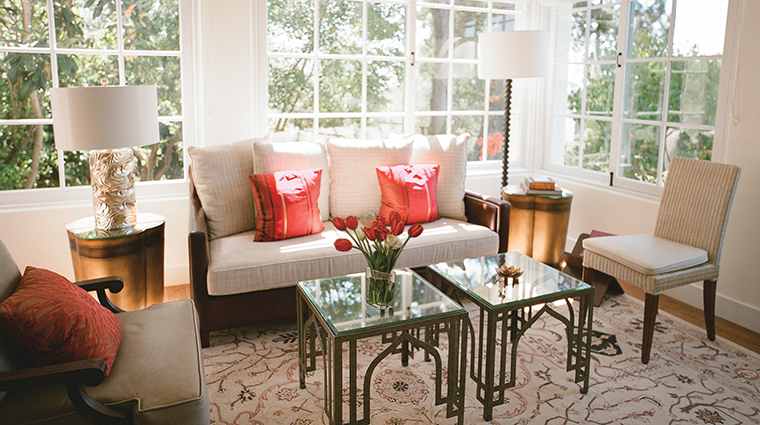 The functional and uncomplicated layout immediately makes you feel comfortable. 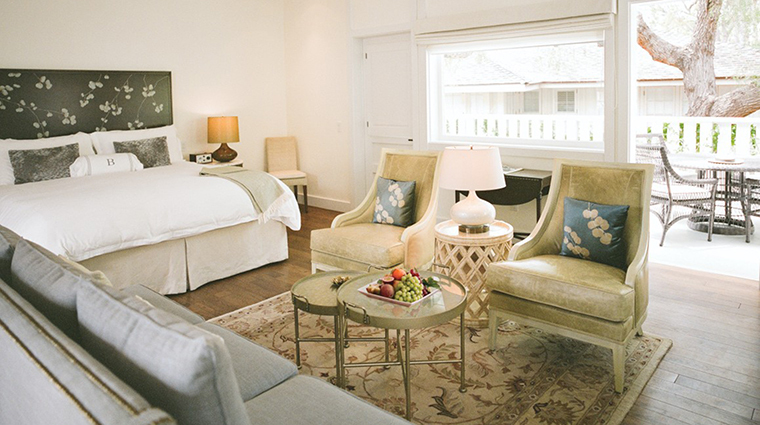 The Mission rooms with their immaculate white walls and the Craftsmen rooms with pastel and earthen colors both use dark-toned wood furniture to accent the spaces. 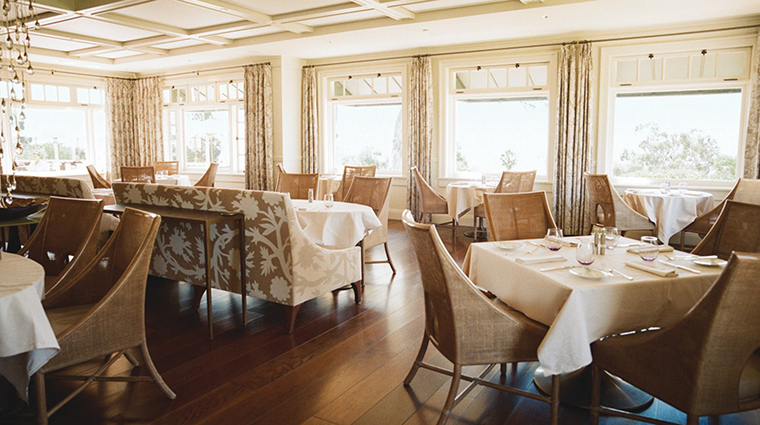 The Dining Room is the only restaurant on the grounds of Belmond El Encanto, but it is full service. 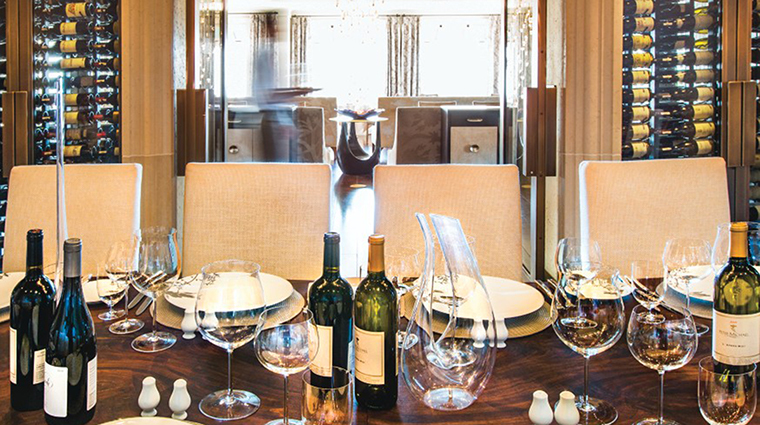 In addition to the 44 seats located inside, there is the open-air terrace where you can opt to dine alfresco. Many ingredients from the property’s chef’s garden pepper the seasonal and year-round menu items, including braised beef cheeks in red wine, seaweed custard with poached quail eggs, and caramelized Santa Barbara uni. Aside from the garden, the Forbes Travel Guide Five-Star hotel has its own Holstein cow, Ellie, who produces milk for the signature El Encanto cheese. For a drink, stop by The Lounge. 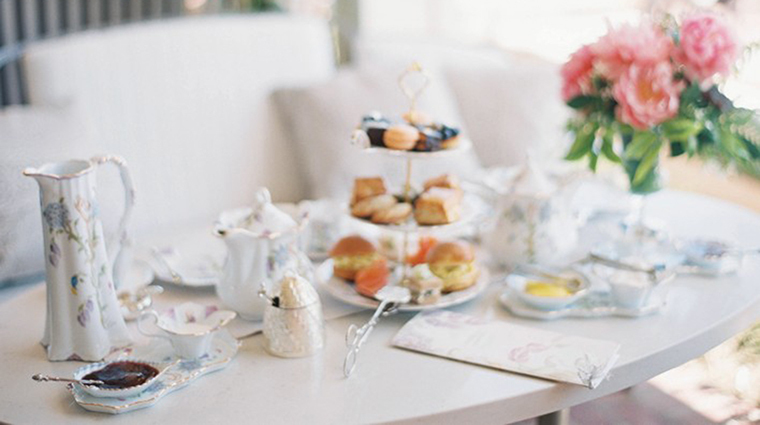 Have afternoon tea or a cocktail featuring herbs and citrus grown on the grounds (like the lavender lemonade with Beluga vodka, lemon, sage and lavender).